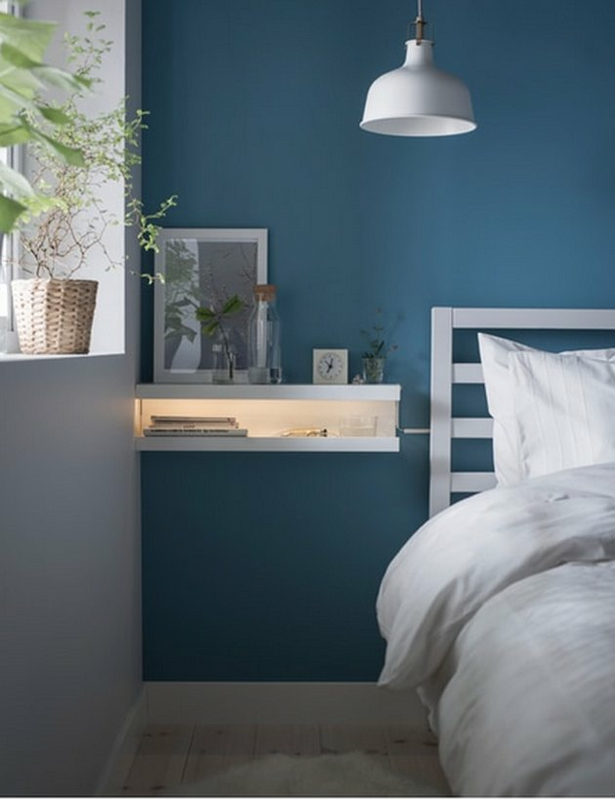 IKEA decor hacks, we can't quit you. And why should we when you continue to blow our minds? You make our kitchens more clever, our bathrooms better, our college dorm rooms cooler, and our Instagram feeds more interesting. These latest finds are bound to inspire. 1. 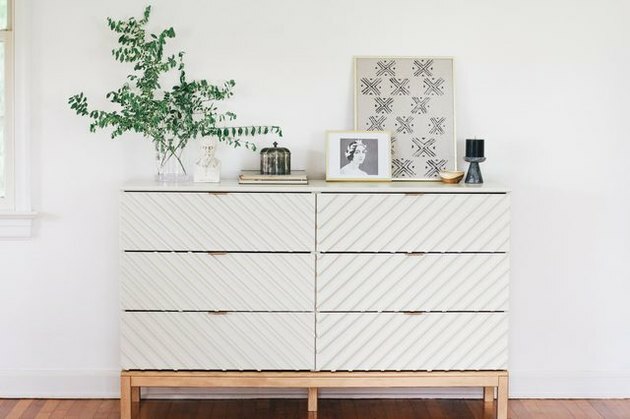 Turn a Tarva dresser into a chevron masterpiece. Vintage oyster-hued paint with gilded touches turns the humble Tarva into a Pinterest darling. 2. Turn the Gladom tray table into a terrazzo-esque design. 3. Turn Heat cork trivets into photo frames. Cork trivets find a new purpose as painted photo frames. So clever, and really, anyone can do this. 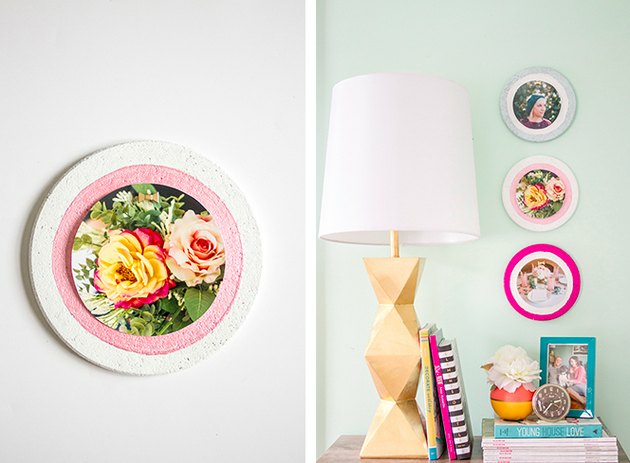 Carrie Waller from Dream Green DIY shows you how. 4. 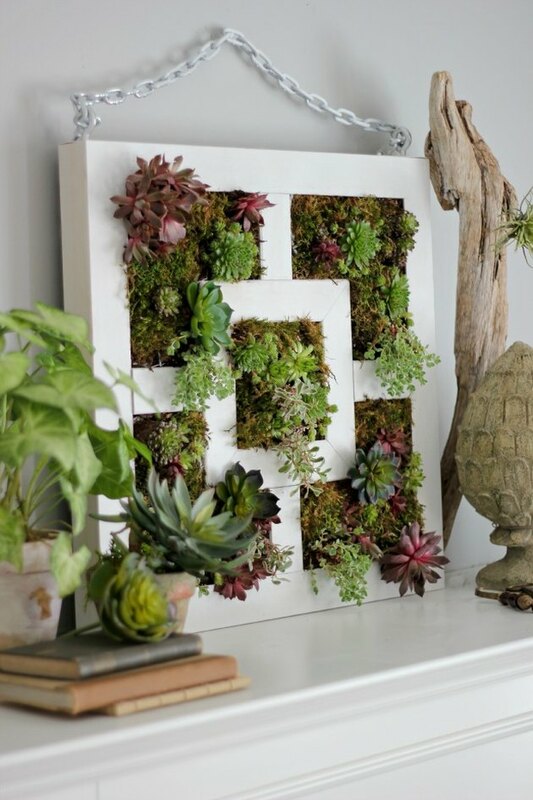 Turn the Lack table into a vertical garden. Lucy Akins from Craftberry Bush knows two things to be true: Everyone loves the Lack side table, and everyone loves succulents. 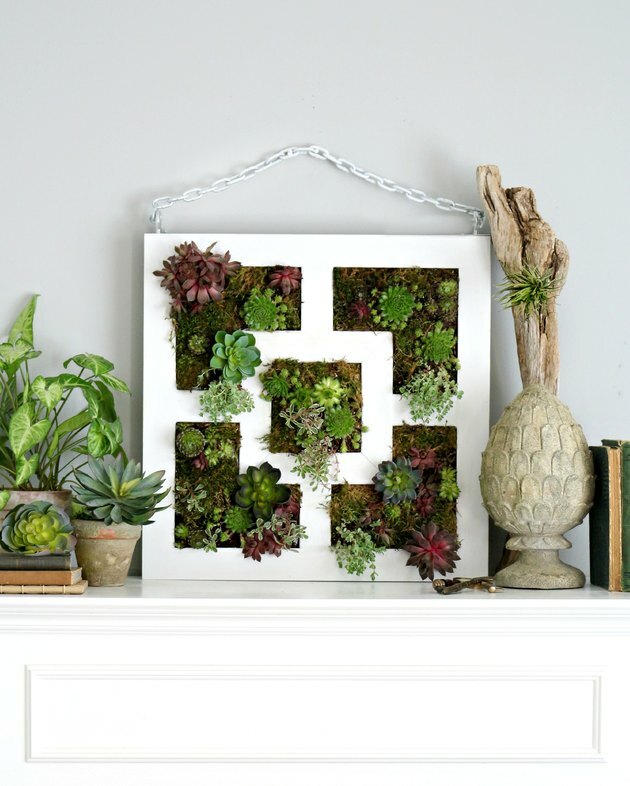 So she did what any creative person would do — she combined the two into this hanging garden. 5. Turn the Ivar cabinet into a bar. 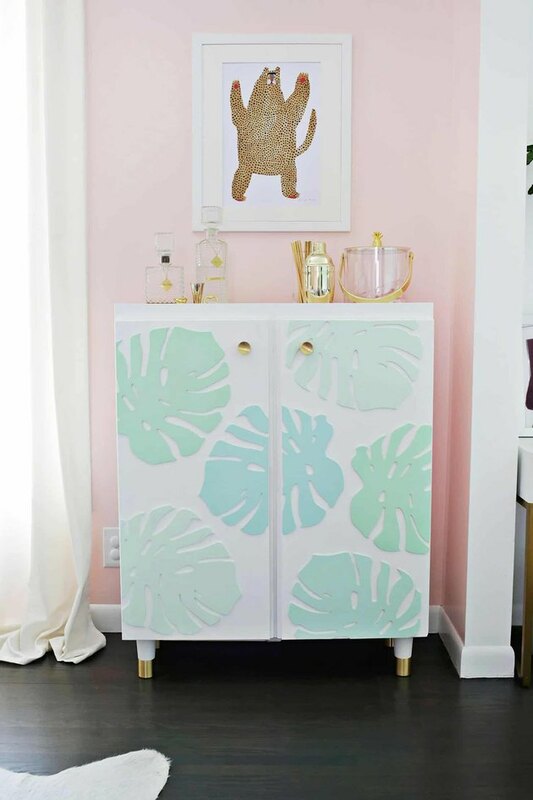 Ordinary Ivar looks gorgeous as a groovy bar cabinet, an upgrade created by Laura Gummerman with A Beautiful Mess. Cue "The Girl From Ipanema" and line up the cocktail shaker. 6. Turn the Mosslanda picture ledge into a floating nightstand. 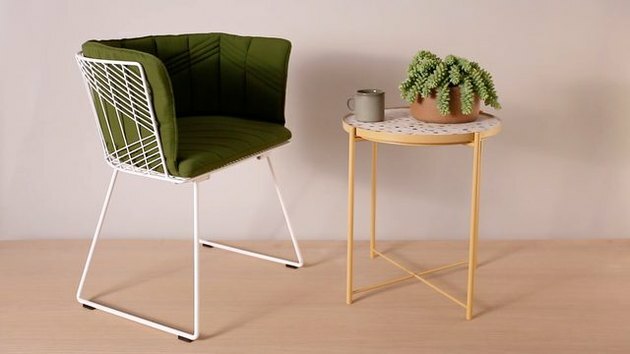 Proof that IKEA is just the coolest? Even they hack their own stuff. 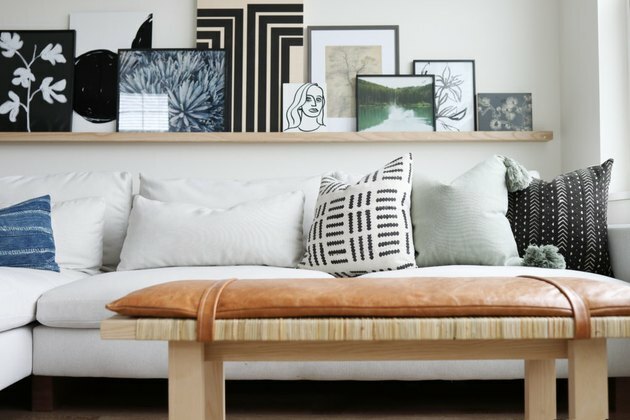 We love how they took two Mosslanda picture ledges and turned them into a nightstand. They also added an LED light, which is just smart thinking. 7. Turn the Skogsta bench into a leather-topped table/seat. Dang, Sarah Dorsey — this is good! She made a leather pillow top for the Stockholm table. Unfortunately IKEA doesn't carry this table any more, so we recommend trying it with the Skogsta bench. Wouldn't the leather look so beautiful on top of the acacia wood seat? You'll need to tweak her original measurements of the pillow top to fit this bench, so calculate accordingly. 8. 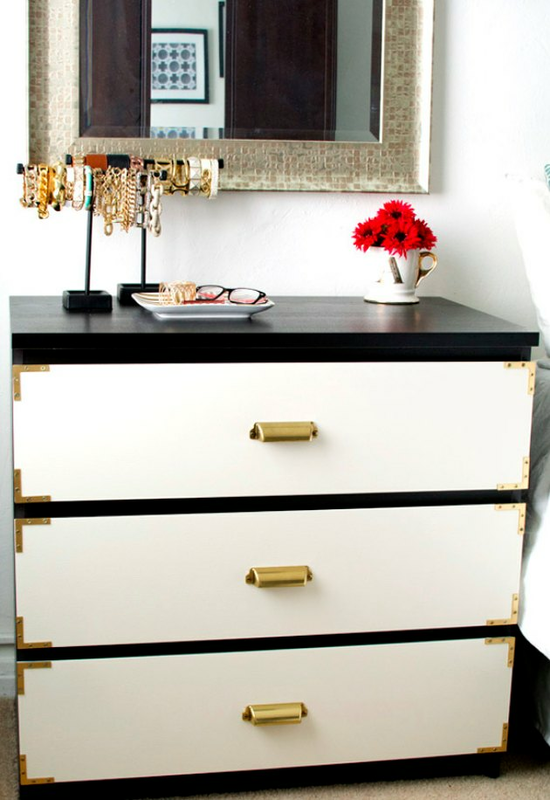 Turn a Malm dresser into a Campaign-style bedroom piece. Amy from Home Oh My waved her magic spray paint tool and gave the Malm dresser a major makeover. The brass drawer pulls and corners add that elevated touch. 9. 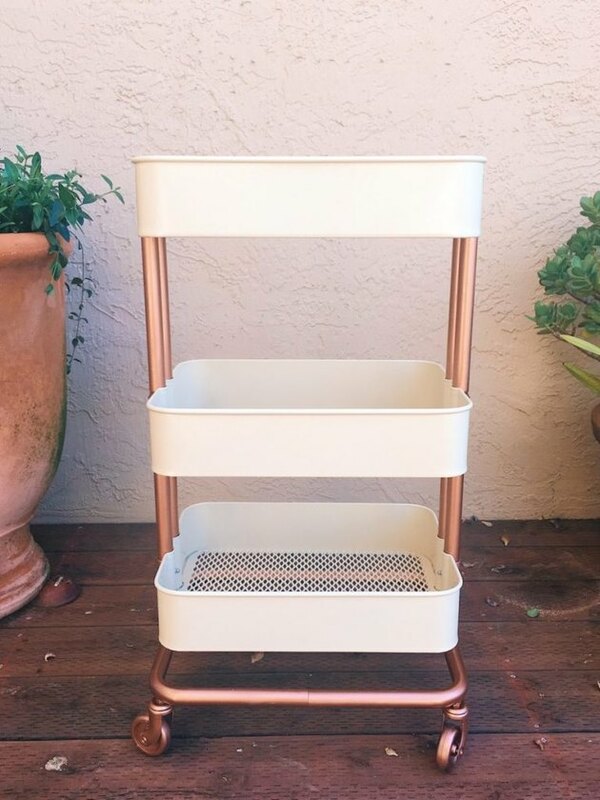 Turn the Raskog rolling cart into a rose gold organizer. Makeovers don't have to be dramatic; a touch of rose gold paint gives this plain Jane Raskog cart just the right amount of glam. xoxojackie shares the love. 10. 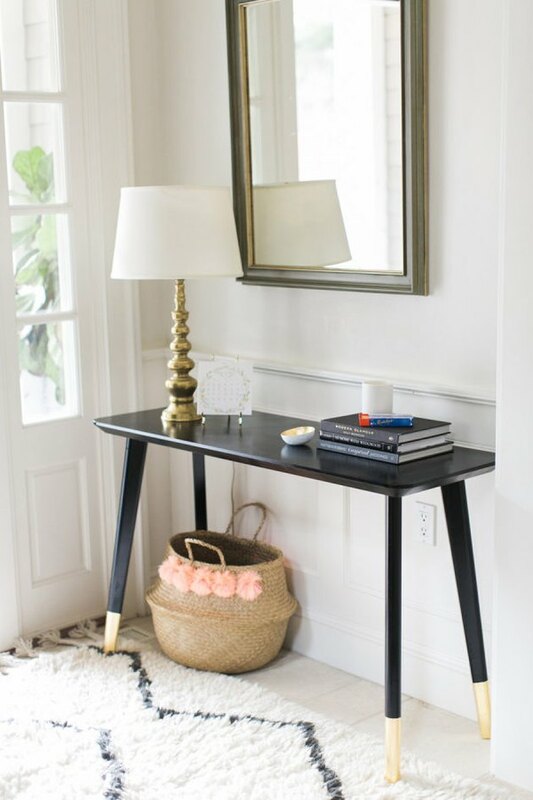 Turn the Lisabo desk into an entryway table. Proof that a bit of black paint and gold leaf can make you look like a DIY genius. Abby Capalbo with Style Me Pretty gives the Lisabo an Insta-worthy update. 11. 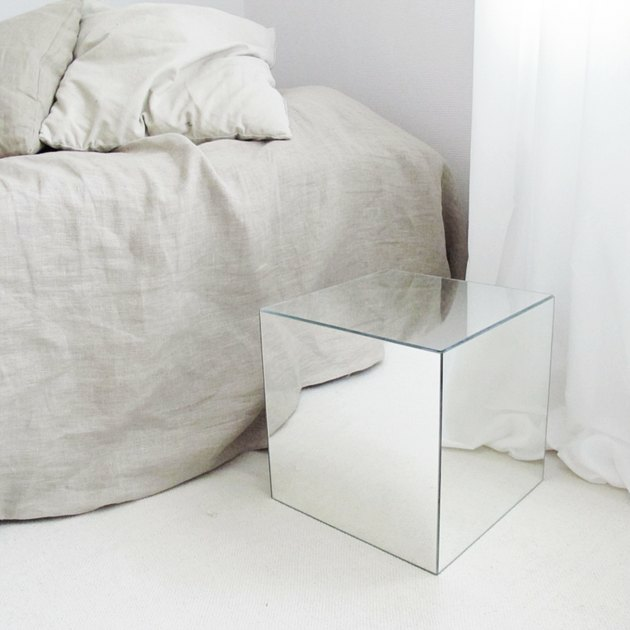 Turn Lots mirrors into a side table. Emma from Design and Form highly recommends having an extra set of hands for this super cool cube project made from Lots mirrors. 12.Turn the Ekby Valter bracket into a pendant sconce. 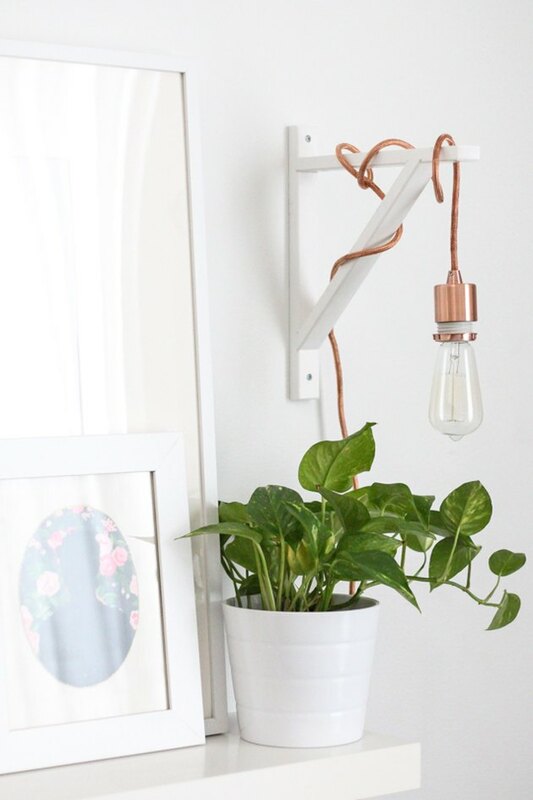 Using a cord set and a vintage-inspired bulb, Ashley Rose with Sugar & Cloth cleverly puts the Ekby Valter wall bracket to good use. This pendant light is simple, yet totally stylish. 13. 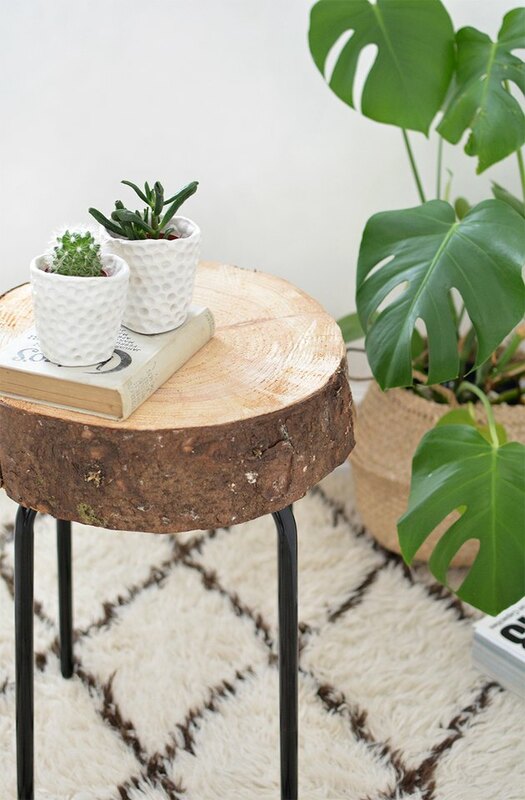 Turn a Marius stool into a handsome wooden side table/seat. Hit up your local lumber yard or garden center for a wood slice, lightly sand it (we say keep the bark on), and then screw the Marius stool legs onto it. Caroline Burke from Burkatron left her wood unfinished, so basically this project is perfect for new DIYers to try.